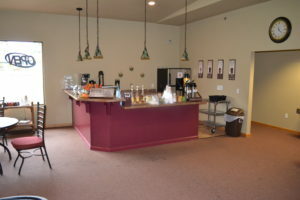 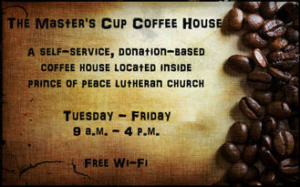 Prince of Peace Lutheran Church is proud to offer the Master’s Cup Coffee House, a self-service, donation-based coffee bar, located in the main church building. 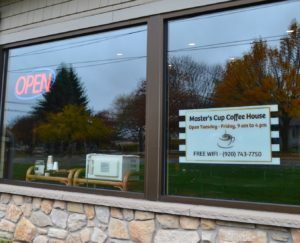 The Master’s Cup is open to the public from 9 a.m.-4 p.m. Tuesday through Friday and offers a variety of coffee, tea, and cappuccino; snacks; homemade cookies; and free WIFI. 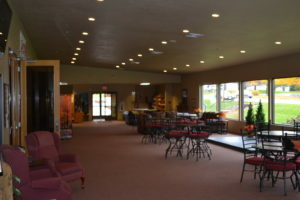 The Master’s Cup is generously furnished with couches, recliners, and comfortable pub-style seating.